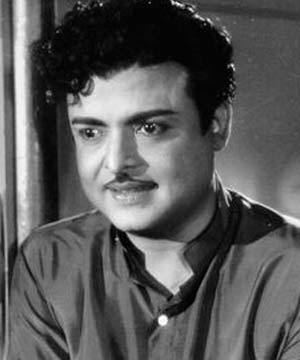 Ganapathi Subramania Sarma (17 November 1920 – 22 March 2005), better known by his stage name Gemini Ganesan, was an Indian film actor who worked mainly in Tamil cinema. 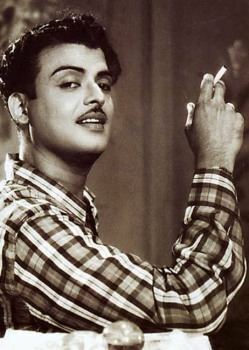 He was nicknamed "Kadhal Mannan" (King of Romance) for the romantic roles he played in films. Ganesan was one among the "three biggest names of Tamil cinema", the other two being M. G. Ramachandran (known by his name's acronyms as MGR) and Sivaji Ganesan. While Sivaji Ganesan excelled in films with drama, and MGR dominated films with fight sequences, Gemini Ganesan held his own with sensitive portrayals of the yearning lover. 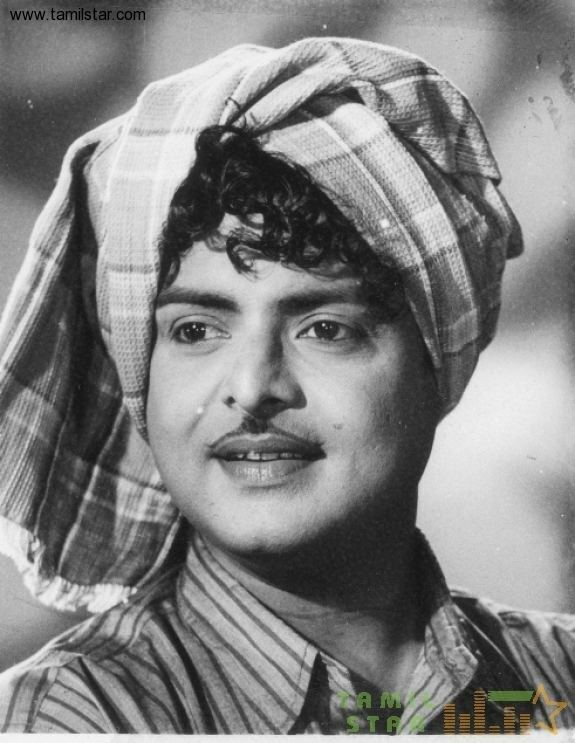 A recipient of the Padmashree in 1971, he had also won several other prestigious awards such as the "Kalaimamani", "MGR Gold Medal" and "Screen Lifetime Achievement Award". He came from an orthodox Brahmin family, and was one of the few graduates to enter the film industry at that time. Gemini Ganesan made his debut with Miss Malini in 1947, but was noticed only after his villainous performance in Thai Ullam in 1953. After playing the lead role in Manam Pola Mangalyam (1954), he finally acquired star status. However unlike Sivaji Ganesan or MGR, Gemini Ganesan was not originally a stage performer, and was never involved in politics. Also, he had not won any National Award for his performances in films. In his long film career spanning over five decades, Ganesan acted in more than 200 films mainly in Tamil, and a few in Hindi, Telugu, Malayalam and Kannada. His performances on the screen were enhanced by successful playback singers like A. M. Rajah and P. B. Sreenivas. In spite of his celebrated film career, Ganesan's personal life, particularly his marriage to multiple women over the years, has often been a subject of criticism. He won 2 Filmfare Awards for his entire acting career. Gemini Ganesan was born Ganapathi Subramania Sarma in 1920. Ganapathi's paternal grandfather Narayanaswami was the Principal of the Maharajah's College, Pudukkottai. Early in his life, Narayanaswami was married to a Brahmin girl but on the early death of his wife, he married again, to a woman named Chandramma from the Isai Vellalar community. Notable among Narayanaswami's children with Chandramma were Muthulakshmi and Ramaswamy, father of Gemini Ganesan. His grandfather died when he was in the sixth class and later on, he lost his father as well. After the death of his father, Ganesan, along with his grandmother Bagirathi and mother Chandramma, moved to his aunt Muthulakshmi's residence, in Madras (now known as Chennai). Life in the city did not suit Chandramma, and she decided to go back to Pudukkottai. Since Gemini Ganesan's aunt Muthulakshmi was an ardent follower of Sri Ramakrishna Paramahamsa, she decided to enroll him into Ramakrishna Mission Home. There, he was taught yoga and sanskrit and made to read Upanishads, Vedas and Bhagavad Gita. He spent a disciplined life at the Home and became an expert in Yoga. However, he could not bear the agony of being separated from his mother, who was at Pudukkottai. Therefore, he returned to his native place and joined a high-school there. Later on, he joined Maharajah's College, located in the same place. However, he completed his graduation at Madras Christian College, Chennai. Ganesan's dream was to become a doctor. In April 1940 he went to Trichy to see T.R. Alamelu. Alamelu's father proposed his daughter in marriage and promised him a medical seat after graduation. Ganesan immediately agreed and married Alamelu in June 1940. Alamelu lost her father and her elder sister within one month of her marriage. Ganesan's dreams of becoming a doctor shattered. There was no choice left for him but to find a job immediately as he was the only person to support his family. He got an interview from Indian Air Force. Much against Alamelu's wishes Ganesan went to Delhi. In Delhi he met his uncle Narayanaswami who advised him to become a teacher. Finally, Ganesan worked as a lecturer in the Department of Chemistry, at Madras Christian College. Later on, he took up the job of a production executive in Gemini Studios in 1947, from where the title "Gemini" was added to his name. He received an entry to films from the casting department of the Studio itself. From the casting department, Ganesan made his film debut in 1947 with the social satire film Miss Malini, in a minor role. The film, which was written by R. K. Narayan and cast him alongside his future wife Pushpavalli, was a box office failure as it was considered "ahead of its time", but was well received by intellectuals. Currently, no print of that film exists, making it a lost film. This was followed by Chakradhari, in which he played another minor role as the Hindu god Krishna. The film was a box-office success, but his performance went unnoticed. It was not until 1953, when he played a villainous role in the film Thai Ullam opposite R. S. Manohar, did people take notice of him as an actor. The next year, he appeared in a supporting role in the Gemini Studios production Moondru Pillaigal, which was unsuccessful. He was then cast as a hero for the first time with Manam Pola Mangalyam. The film, which featured him in a dual role, paired him with his future wife Savitri, and became a "milestone in his life". From then on, he carved out a niche for himself in Tamil cinema with films that required a lot of romance but little action. In his career spanning nearly 50 years, Ganesan played a variety of roles, from Abhimanyu in Mayabazar (1957) to freedom fighter Madasamy in Kappalotiya Thamizhan (1961), and in Pennin Perumai (1960), he played a non-assertive imbecile morphing into a well-moulded human being. Ganesan also starred in Kalathur Kannamma (1959), which was also the debut for Kamal Haasan, who would later become one of the leading actors in Tamil cinema. The film won the National Film Award for Best Feature Film in Tamil – Certificate of Merit for the Third Best Feature Film in 1961. Ganesan also starred in Veerapandiya Kattabomman (1959) alongside Sivaji Ganesan. The film was selected for the Afro-Asian Film Festival in 1960. It was also nominated for the National Film Award in 1960, along with Gemini Ganesan's Kalyana Parisu, but both lost to Bhaaga Pirivinai. The ruritanian romance film Vanjikottai Valiban (1958) was a high budget film and became a huge commercial success due to much hype. The historical fiction film Parthiban Kanavu (1960) won the President's Silver Medal for Best Feature Film, but failed commercially. His 1961 film Then Nilavu was the first Tamil film to be shot extensively in Jammu and Kashmir, and became a great success at the box office. He co-starred with rival actor M. G. Ramachandran in Mugarasi (1966), which was their only film together. Konjum Salangai (1962), which featured Ganesan alongside Savithri was released in various countries outside India, having subtitles in over 22 languages, and it was also the first Tamil film to be released in Poland in a dubbed version. Ganesan's best performance is considered to be in his home production, Naan Avan Illai (1974) in which he played many roles as seducer of women. Directed by K. Balachandar, this film won high critical praise for Ganesan's performance but according to Ganesan, the film did not succeed commercially. Some of his other best works include Missiamma, School Master, Kanavaney Kankanda Deivam, Meenda Sorgam, Shanti Nilayam, Vaazhkai Padagu, Karpagam, Ramu, Thamarai Nenjam, and Punnagai. Ganesan had paired with several leading actresses like Anjali Devi, Pushpavalli, Padmini, Vyjayanthimala, Savithri, Devika, Vijayakumari, Saroja Devi, Rajasree, Kanchana, Jayanthi, K. R. Vijaya, Bharathi and Jayalalithaa. 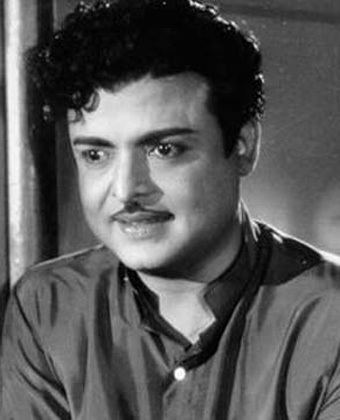 Gemini Ganesan acted in a few Hindi films, most of which were remakes of his Tamil films. His first Hindi film was Missiamma's remake Miss Mary (1957), where he was paired with Meena Kumari. The film became one of the biggest hits of that year. Notably, he played the lead role in Devta, which was the Hindi version of his own Tamil film Kanavaney Kankanda Deivam. He also acted in the ruritanian epic film Raj Tilak (1958), which was the Hindi remake of his own Vanjikottai Valiban. It was a box office failure, having collapsed within a week of its release. 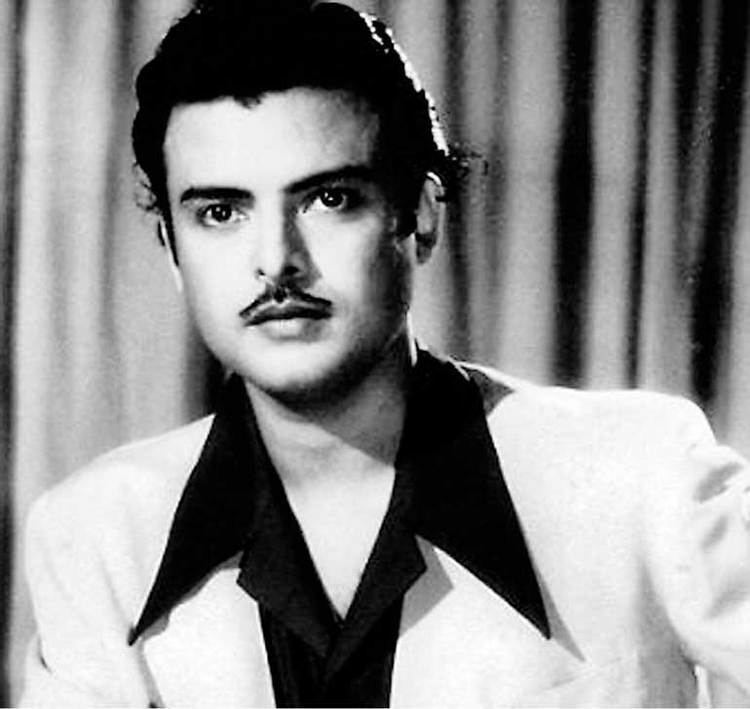 He later appeared in a guest role in Nazrana (1961), the Hindi remake of his own Kalyana Parisu, that had him in the lead. Though the film was an average grosser, it was the 12th highest-grossing film of the year. Later in his career, he switched to little different character roles. Notable among these was the Telugu film Rudraveena (remade in Tamil as Unnal Mudiyum Thambi), considered one of his best films in Telugu. Another notable film was Avvai Shanmughi (1996), in which he characteristically played the role of an old man longing for an old maid, portrayed by Kamal Haasan. Towards the end of his acting career he kept himself busy with elegant roles in television serials, one notable serial was Krishnadasi. Ganesan also appeared in Mettukudi (1996), Kaalamellam Kadhal Vaazhga (1997), Thodarum (1998), and his last major role came the same year with Naam Iruvar Namakku Iruvar, followed by special appearances in Gemini (2002) and Adi Thadi (2004). Unlike the other two leading Tamil actors of that time – Sivaji Ganesan and M. G. Ramachandran, Gemini Ganesan did not come from a stage background. This made his screen presence refreshingly credible and his acting was not stylized. He sustained his film career without the support of any fan club or backing of a political party. He stayed away from politics, even declining a Rajya Sabha MP offer by Rajiv Gandhi. The only time he got anywhere near politics was, when he organised a function for poet Subramania Bharathi at Ettayapuram in 1963. Apart from acting, Ganesan was also a shrewd businessman and invested heavily in real estate and property development. He was a good sportsman, having captained his College Cricket team and was successful in various sports like Tennis, Golf, and Badminton. Ganesan also worked as director for the film Idhaya Malar (1976), that starred Kamal Haasan and Y. G. Mahendran. 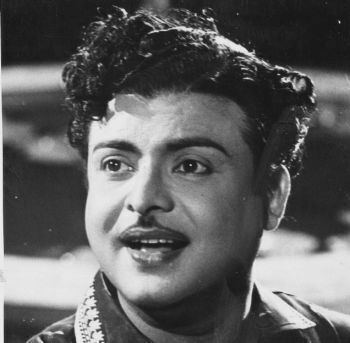 Gemini Ganesan has widely been praised for his versatily in acting, having performed a "wide range of roles". He was "at his best" with Savitri, with whom he had acted in several successful films. In February 2006, Dayanidhi Maran had released a commemorative postage stamp of the actor, who he described as a "multi-dimensional personality, who evinced keen interest in Carnatic music, reading, yoga and poetry." He is also credited for having introduced leading Tamil actor Kamal Haasan through the National Award winning Kalathur Kannamma, where the latter was a child artist. Ganesan also took part in a World Tamil Conference in Kuala Lumpur, notably because he "loved Tamil language". According to politician M. Karunanidhi, the actor had developed a "reformer's mind" because he was raised by his aunt Muthulakshmi Reddy, who fought for abolition of the devadasi system. Director K. Balachandar called Ganesan a "director's delight" and stated that, "The advantage of having him as a hero was that he was convinced about the capabilities of a director, he would leave it the director and would not interfere". Lyricist Vairamuthu said, "‘Gemini' Ganesan was not envious of anyone and promoted many actors by recommending them to producers and directors". 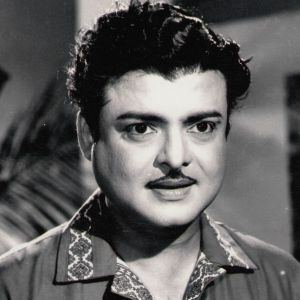 Despite being one of the most successful actors of Tamil cinema during his time, Gemini Ganesan was criticised for being "fossilised in one type of portrayal", as most of his films were typically "boy meets girl" romantic films. He was married to multiple women like actresses Savitri and Pushpavalli, which led to him being labelled a "womanizer". His hostile relationship with daughter Rekha was also a major criticism. He did not acknowledge Rekha's paternity during her childhood. It was in the early 1970s, when Rekha was looking for a footing in Bollywood, that she revealed her origins. Later, at the peak of her career, Rekha told a magazine interviewer that her father's neglect still rankled and that she had ignored his efforts at reconciliation. She did not even attend her father's funeral in 2005, and once when asked about their relationship in a televised interview, she paused with silence and revealed nothing. Gemini Ganesan, at 19, married Alamelu, with whom he lived and whom he fondly called "Bobji". She is his first and only legal wife. He later married or had intimate relations though did not live with actresses Pushpavalli and Savitri. He is survived by seven daughters and a son. Alamelu and Ganesan have four daughters; three of them – Revathi, Kamala and Jayalakshmi - are medical doctors, the fourth Narayani is a journalist with The Times of India. Ganesan has two daughters with Pushpavalli – Bollywood actress Rekha, and Radha. The latter acted in a few Tamil films, but then opted for marriage and migration to the United States. Savithri and Ganesan have two children: a daughter Vijaya Chamundeswari who is a physiotherapist, and acted in films as child artiste “Baby Savithri”, and Ganesan’s only son Satheesh Kumar. In October 1998, the then 78-year old Ganesan married the then 36-year-old Julianna. Juliana had left her job and relations, to be near her husband, who said he needed a younger wife to attend on him, as age had caught up with Bobji." Ganesan publicly admitted that he was closest to Bobji, than Pushpavalli or Savithri. The actor had noted in his autobiography Vaazhkai Padagu, "Somehow, I seemed to attract women who were in distress." He also felt annoyed by the title "Kaadhal Mannan" as it "was used to brush him in black in his personal life". Pushpavalli's sister Suryaprabha married popular Telugu director and actor Vedantam Raghavaiah. Their daughter Shubha was an actress in Telugu movies. 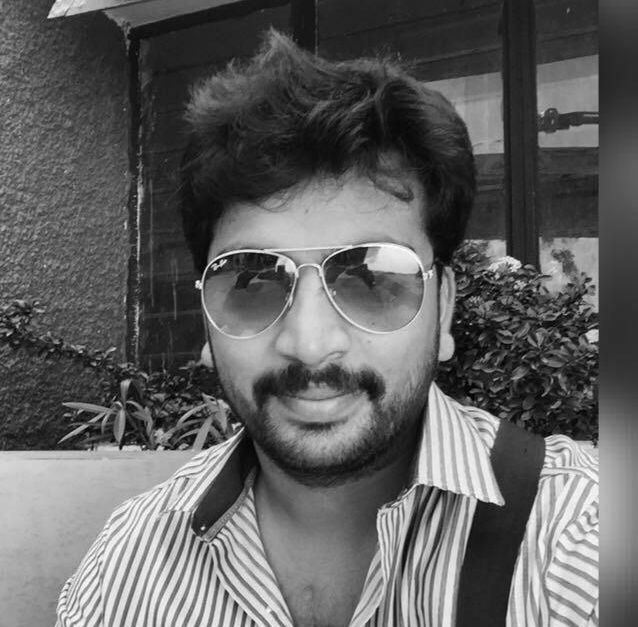 Abhinay Vaddi, who acted in Ramanujan (2014), is Ganesan's grandson. A documentary film on the legend in the name of "Kadhal Mannan" was produced by Dr. Kamala Selvaraj, and directed by Ashok Kumar, DFT (Programme Head-Vendhar TV) in 2011. It was screened to many film stalwarts and fans of the legend and received rave reviews from critics for bringing out a candid representation of the actor's life in detail. Following the enormous response, a DVD version of the film was released in the same year. In the mid-2010s, three films were made in reference to the actor. Odam Ilavarasu's romantic comedy Gemini Ganeshanum Suruli Raajanum (2017) began in 2015 and featured the lead character as someone who falls in love with several women at the same time. Muthukumar's Kaadhal Mannan (2018) was initially titled as Gemini Ganesan, before the makers decided to change the title. Furthermore, an official biopic of actress Savitri was made by director Nag Ashwin in Telugu and Tamil as Mahanati. Dulquer Salmaan was cast as Ganesan and revealed that his portrayal of Gemini Ganesan would go beyond just the physical resemblance and the character's emotional side would also be depicted. After a prolonged illness caused by renal failure and multiple organ failure, Gemini Ganesan died surrounded by Bobji and their daughters at his residence on 22 March 2005, 13:30 IST. He was cremated with full state honours. Prominent personalities including Tamil Nadu's chief ministers M. Karunanidhi and Jayalalitha paid their last respects to the veteran actor. Ganesan's funeral was not attended by his estranged daughter Rekha, who was then in Himachal Pradesh shooting for a film.